Safety advocates are asking what can be done to make the roads safer in the wake of a deadly tractor-trailer collision this month that claimed the lives of 5 boys traveling to Disney World in a church van. 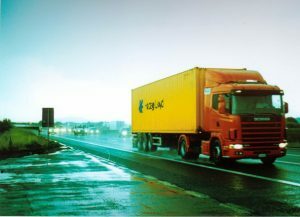 The Ocala Star Banner noted South Florida’s burgeoning growth has put tractor-trailers and other large commercial vehicle traffic at increasing odds with other motorists on the road, making trucking accidents in Southwest Florida a growing threat. In this most recent incident, a tractor-trailer burst into flames after colliding with another vehicle, before running through the median and into oncoming traffic, where it struck the church van and another tractor trailer. Seven motorists were killed and eight others were taken to the hospital with serious injuries. 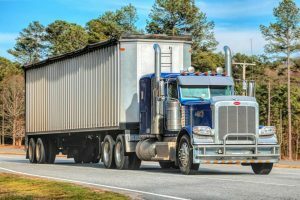 While we recently wrote about highway traffic safety on our Florida Injury Lawyer Blog, the fact remains that motorists are largely at the mercy of large tractor-trailers when driving on the interstate or on many of Southwest Florida’s main thoroughfares. Economic growth and the birth of the delivery economy continues to put an increasing number of commercial trucks on our highway and byways, and even on suburban neighborhood streets, where pedestrians and cyclists face increased risks. 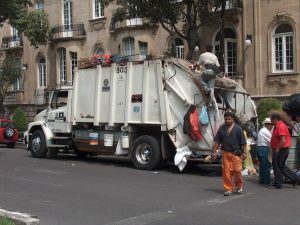 An Illinois city recently agreed to a $4.75 million settlement to a woman in a sport utility vehicle who was struck by an on-duty city worker driving a garbage truck. It was reported the garbage truck driver was traveling eastbound, crossed over the double yellow lines on the road and side-swiped victim’s vehicle, which was traveling westbound. She spun and was struck by another vehicle. The 33-year-old victim explained to The Chicago Tribune that her left leg was broken and she remains unable to move her left hand. Her attorneys explained in her personal injury lawsuit that she had suffered serious and permanent injuries that will not only cost her dearly for medical expenses, but also have rendered her unable to carry out certain functions of daily living, such as returning to her job as a home care worker and cashier. 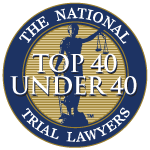 Expert witness testimony is sometimes critical to trucking accident lawsuits, which can be some of the most complex types of injury cases. These large vehicles cause some of the most horrific crashes on our roads, resulting in serious injury and death – and making the stakes in these lawsuits very high. Has been formulated with the applied principles and methods of the witnesses’s expertise reliably to the facts of the case. Expect tighter rules regarding sleep apnea testing among truck drivers, intended to reduce the number of drowsy driving trucking accidents in Florida and across the country. These rules were challenged by a trucker who alleged mandated testing of drivers at-risk for sleep apnea violated his civil rights. Both the trial court and the U.S. Court of Appeals for the Eighth Circuit disagreed, and more recently, the U.S. Supreme Court denied a request for review, meaning the appellate court ruling stands. What that means is trucking companies will feel free to test drivers and prospective drivers who may be at risk for the condition, potentially even at the driver’s own expense. The Kentucky Supreme Court recently considered whether a state government has a responsibility to enforce vehicle weight restrictions on portions of its highway. 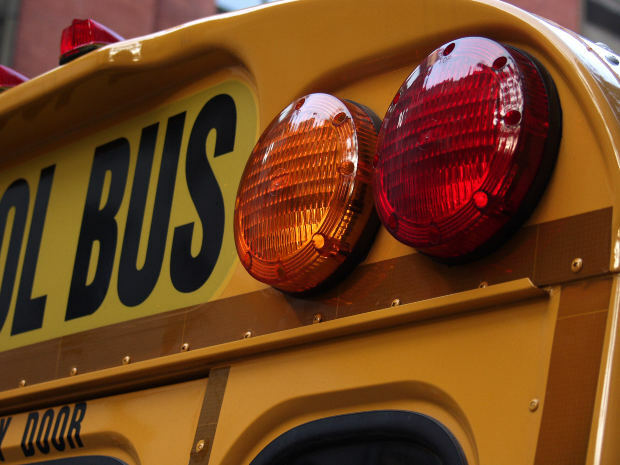 The question arose in a case that resulted in the death of a school bus driver whose bus collided with a tractor-trailer on a narrow non-designated portion of the highway. The most recent data from the Federal Motor Carrier Safety Administration reveals the number large truck and buses involved in fatal crashes increased by 8 percent between 2014 and 2015. The 4,311 large vehicles involved in collisions in that latter year represents a 20 percent increase since 2009. During that same time frame (2009 to 2015), the number of injury crashes involving large trucks and buses spiked by 62 percent. 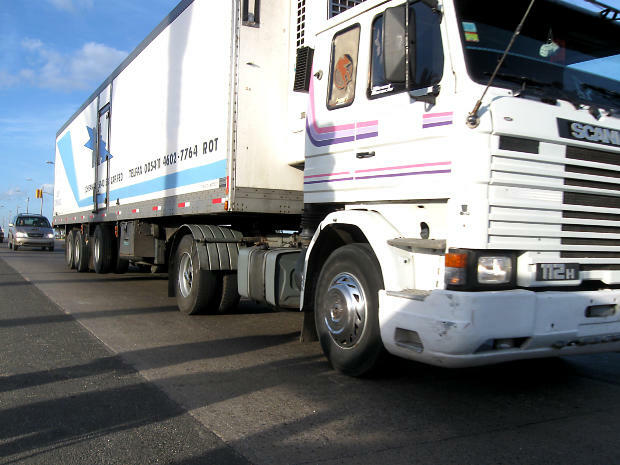 Large truck accidents in Florida are on the rise, mirroring a national trend. The impact is out-sized here, though, as the National Highway Traffic Safety Administration (NHTSA) reports the Sunshine State has one of the highest number of truck crashes in the country. The latest report from the federal agency covers 2015 data. What researchers found was that 4,067 people were killed in crashes involving large trucks that year, marking a 4 percent increase from 2014. Additionally, there were 116,000 people injured in crashes involving large trucks, which was also an uptick of 4 percent. The commercial trucking industry in America is facing a severe shortage of drivers. By one figure, we need approximately 48,000 drivers just to move 70 percent of U.S. goods in a timely manner. But it’s not a gig many younger people are fighting over. The hours are grueling. The work is tiring. And time away from family is tough. WINK News and CBS report this has led to companies providing incentives for drivers to stay on-the-job longer than they might otherwise. It also means they are aggressively recruiting retirees. CBS looked into the issue, and how the presence of much older drivers in very large trucks poses a risk to all of us on the highways. Last year, the number of vehicle recalls in the U.S. hit another record, with 51.2 million vehicles involved in 868 separate recalls, according to the National Highway Traffic Safety Administration. The year before, there were 63 million vehicles named in 803 recalls. Many of those are passenger vehicles driven by the public, and those are certainly of great concern – not just to the vehicle owners and passengers, but to all of us who share the road. However, one aspect of these recalls that gets less attention – but is now less alarming – is that of commercial truck recalls. A typical commercial truck can weigh 80,000 pounds. 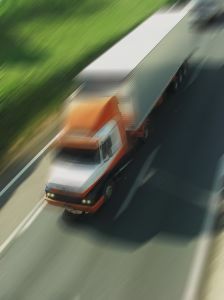 In many cases, when tractor-trailers or other large vehicles crash, there are injuries to multiple parties. These are more likely to be serious accidents that result in death. Even so, not all commercial vehicle owners respond to manufacturer recall notices. As we embark on another school year, transportation safety is at the forefront of parents’ minds as they send their kids off to school each day. The good news is, school buses are one of the safest modes of travel for young people. However, that does not mean there is no risk of an accident. The 2014 school bus accident in Nassau County is proof. Today, the man driving the logging truck that slammed into that packed school bus is now serving a 20-year prison sentence. 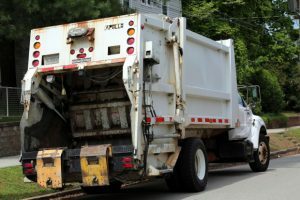 Although he pleaded no contest to the charges of reckless driving and serious bodily injury, he blamed his former employer, Mo’s Trucking, for failure to properly maintain the truck. The tractor-trailer rig rammed into the school bus as it stopped to drop off students on a rainy afternoon. Seven of the students were seriously hurt, though authorities say it could have been much worse if the 37-year-old bus driver hadn’t suddenly stepped on the gas as she realized what was about to happen as the truck barreled toward the rear of the bus. A 44-year-old man lost his life one day in 2011 when the driver of a semi-truck failed to yield as she entered a busy highway from a truck stop. 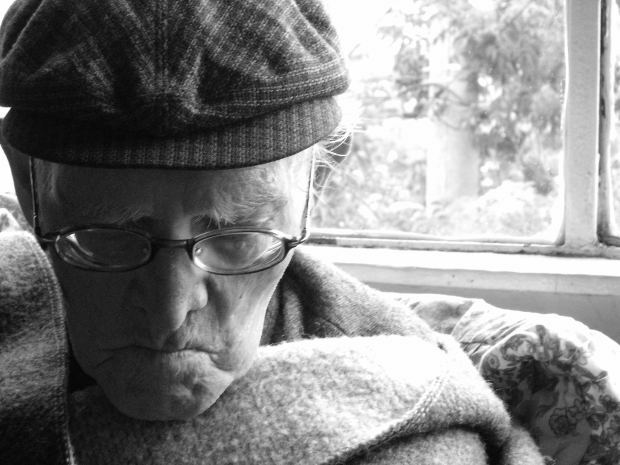 Nothing would ever bring back the beloved husband, but who should be the one to pay damages? As in any truck accident case, there were many different entities – and two defendant insurance companies – involved. 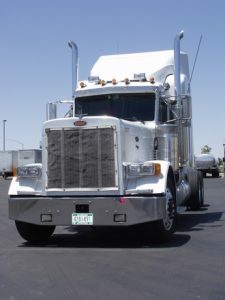 Commercial trucking companies are required by the Federal Motor Carrier Safety Administration to carry a certain amount of liability insurance. Those minimum levels are often far in excess of what you might encounter with a passenger vehicle, and the reason is because these massive vehicles have the potential to cause devastating levels of damage. That’s why a lot of these companies carry policies that are even in excess of the minimum.